UK Stampin' Up! Demonstrator | make beautiful cards | Crafty Hippy: Thanks Mr Postie! 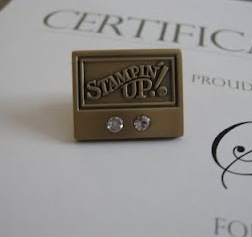 This morning I received a certificate and pin-badge from Stampin' Up! for reaching the next level of promotion (Bronze 2) based on my sales of Stampin' Up! goodies; which I acheived in less than 4 months. A massive "thank you" to my lovely customers for supporting me, and also to my upline Cate (of Blueanglecrafts) for all the help and support in getting me started into a career that was absolutely perfect for me. There are a range of benefits from becoming a demonstrator; which increase as you go up through the ranks based on your sales target. Once you become a demonstrator you get access to the demo website which has lots of ideas, resources and incentives as well as the opportunity to place your own orders and see your commissions etc. The first order you place within 45 days of signing up to be a demo of £150+ is eligible for 30% discount so another fantastic deal to purchase items at a huge discount!! Within the first 6 months there is also an incentive called Stampin’ Start where you can earn free stamp sets of your choice if you reach certain sales goals and recruiting goals. I have already earned myself 2 free sets which is brilliant as they will get plenty of use at my wonderful, creative classes. On all orders placed you receive 20% discount off the net product total. You can earn more commission the more sales you make in a month and any extra commission payments are calculated at the end of the month and paid direct in the bank account of your choice mid way through the following month. *Pre-order select Stampin' Up! stamps, tools and embellishments a month before the customers sales period. One of my favorite perks! 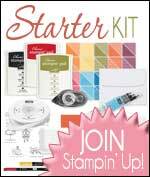 *Earn free stamps with Stampin' Start, Sale-A-Bration and other promotions. *Qualify for cash bonuses, product bonuses, incentive trips and other awards. *Receive downline override compensation based on your recruits' sales (if you decide to recruit). 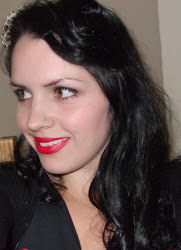 *Earn free hostess sets and merchandise. *Receive Stampin' Up! 's exclusive monthly demonstrator magazine Impressions, packed full of information and inspiration for projects and workshops. *Be inspired by video tutorials and project ideas on the Stampin' Up! demonstrator web site. *Be able to attend the Stampin' Up! convention held each year, where you get to meet other Demonstrators, get freebies, tuition and business advice. *Attend Stampin' Up! training days which are loads of fun! *Be part of a family; a community of like-minded people - who are always happy to help, too, if you need advice or inspiration. There are soooo many reasons to join, I'm so glad I did! If you are interested in becoming a demonstrator, have any questions about doing so, or if would like to join my team of Crafty Hippys, then please don't hesitate to get in touch with me, I'd be happy to help with any questions you may have. I'm now off to pin my badge on with pride!